Like many people I was sad to hear of the death of cricket commentator Richie Benaud on Friday. 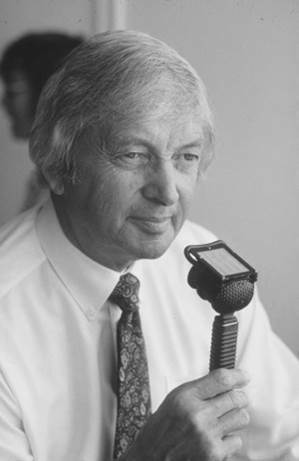 Richie Benaud defined cricket commentary for my generation and I’ll always remember his rich words during that iconic summer of 1981 and the greatest test series I think ever took place - Botham’s Ashes. But it was Richie Benaud’s articulate, measured, soothing descriptions of events taking place on the pitch that elevated the games from brilliant to unforgettable. It’s been a much repeated quote since his passing but those who were around at the time didn’t need a reminder, it was tucked away in the memory bank for life. A truly brilliant and totally unplanned line. To me he was just an incredible communicator and storyteller.